Avid Link is a free app for anyone looking to find, connect, and collaborate with other creatives, promote your work, and purchase and manage products. All in one interface. 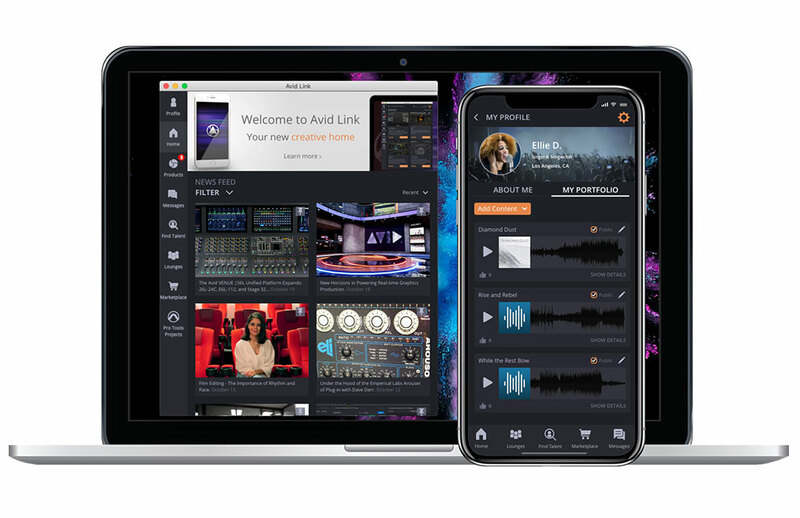 Avid Link is a free app for anyone looking to find, connect, and collaborate with other artists, producers, mixers, composers, editors, videographers, moviemakers, and graphic designers to expand your creative opportunities. Available for Mac, Windows, iOS, and Android—and accessible from within Pro Tools, Media Composer, and Sibelius—Avid Link makes it easy to promote yourself and your work to a vast community of media professionals. Find and keep in touch with collaborators. Manage and update your software. And shop the Avid Marketplace to get the tools you need to take your skills further. All in one interface. Avid’s NAMM mainstage presentations will be streamed on Thursday, Friday, and Saturday (1/24-1/26) exclusively through Avid Link. Full schedule of presentations available here. Customers can join the Avid Link public beta here prior to release.